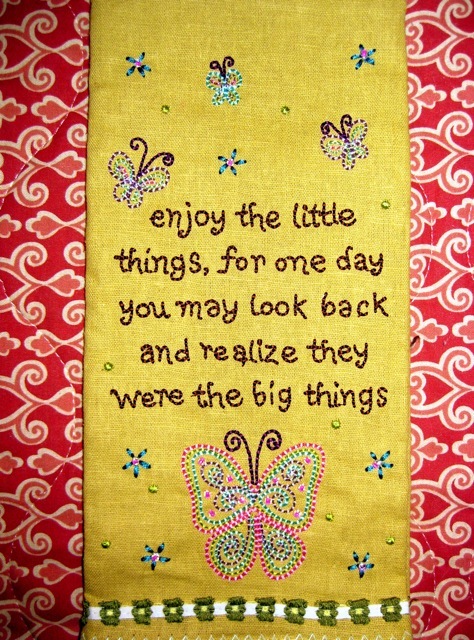 “Enjoy the little things, for one day you may look back and realize they were the big things.” I’ve always love this quote, Marylin. I think Gannon made a perfect choice. Your story vibrates with good country values – straight from the heartland to the hearts of your readers. Gannon is helping you telling the story of your family’s values too. Today I’ll have a chance to see what I can learn from two of my grand-boys, Curtis and Ian. We are blessed with these gentlemen-in-the-making. Great post! Thank you, Darlene, I loved learning about the humble beginnings of Pizza Hut. It reinforced the stories I’d grown up hearing about the friends and neighbors who worked hard and accomplished much for their families. The quote is one of my favorites, too. This “little thing”–letting Gannon choose Pizza Hut for our lunch–turned into a Big Lesson and a special memory. Your post is a good reminder that lessons can be learned in all types of places. Although I’m not a Pizza Hut fan, I’m glad you had a good outing with your grandson–and that you were able to enjoy “the little things” with him. It had been years since I’d eaten at Pizza Hut, Merril, and it normally wouldn’t have been my choice for lunch. But I was glad I let Gannon choose…and learned so many wonderful things about the founders, and, of course, the Arthur Ashe message on the t-shirt. It was truly one of those special “little” things that made a big difference. 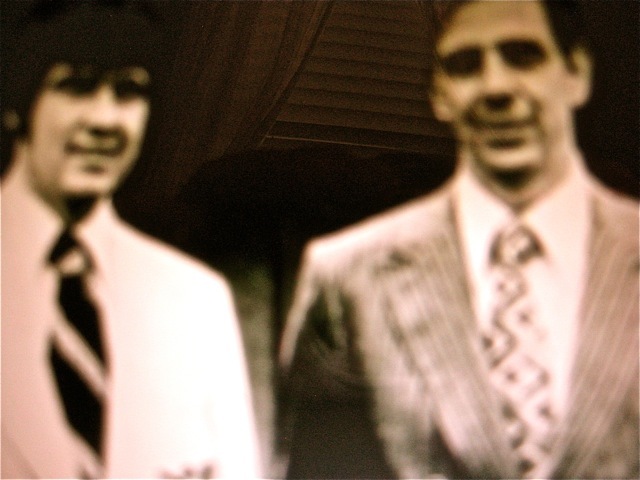 I never knew their beginnings and I thank you for sharing this. It is good to see honest, hard work rewarded in such a way. Love your description of our Kansas corner and of the Pizza Hut story. I knew it from long ago and was amazed when they grew to be so big. 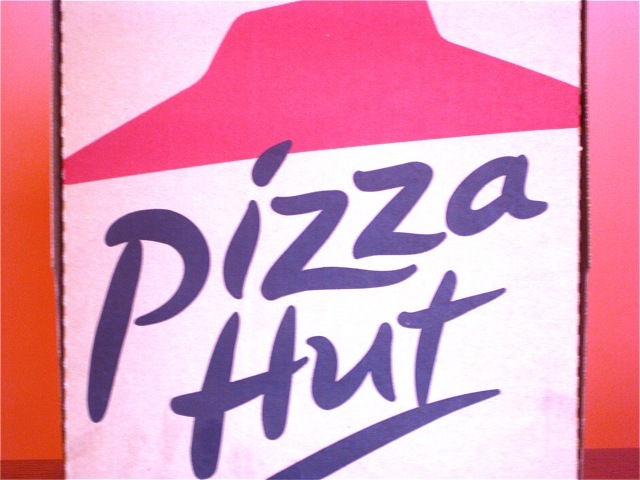 My first Pizza Hut pizza was in Pittsburg during college. Loved it then and still do. Think it is best pizza around and it takes like “home”. I’ve eaten at the Pizza Hut in Pittsburg, too, Claudia! But my favorite place to eat when I’m in that part of Kansas is Chicken Annie’s. We began going there when the chicken was fried in their little house and the carfuls of hungry customers parked on the side of the road waiting to be called to the tables. Of course both it and Chicken Mary’s are MUCH bigger now, but the food is still down-home. 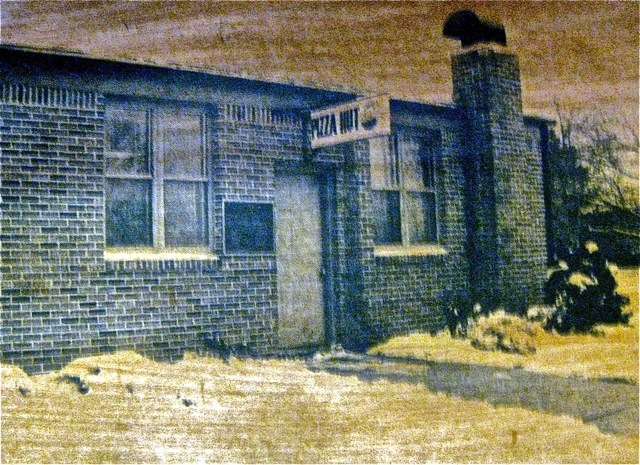 I was a cook and waitress at Pizza Hut when we lived in Madison, Wisconsin. We still enjoy their good food and nice service. i am not a Pizza Hut fan but with a grandson like yours I would go and enjoy every bite. When we adopted our son over 34 years ago his choice was Mc Donald’s and we all had lunch there. Thanks for sharing such truths for food for thought. I hope you’re having a good weekend with your mom. Blessings, peace and grace. Wishing you many wonderful little things, Marylin! Road trip+grandson+Mom with a pizza ending sounds like just the ticket! It was, Jane. The trip to Ft. Scott from Abilene is 200 miles each way, and the Pizza Hut decision was mid-way, just what we needed. Plus the wall dedicated to pictures and details of the brothers’ journey to build Pizza Hut made for great conversation. Gannon was a delight! Love this post! Ain’t it the truth. I’m so glad you stopped at Pizza Hut. It was one of those unexpected, unplanned, out-of-nowhere amazing encounters, Julia. And a great conclusion to an amazing visit with my mom when Gannon read aloud her favorite poems and patted her hand. He has a great voice for an 11-year-old, and soon she was humming to his voice and smiling at him. Wow! The Arthur Ashe quotation is perfect advice for all of us when circumstances in competition or life in general seem so difficult and overwhelming that one begins to lose hope and the drive to keep fighting. Arthur never gave up either in a tennis match or in his life, no matter how unfair his fate. He was an artist on the court, moving with ease and grace. He was an inspiration for a generation of young tennis players. He and Billy Jean King are responsible for bringing tennis out of the country clubs and to youngsters in public parks everywhere during the tennis boom of the 1960’s and ’70’s. One should also remember how Arthur was ever a gentleman, a black man who softly but insistently pushed aside the racial barrier in world tennis, including South Africa. So much of what I know about Arthur Ashe came from you, honey, a fellow tennis player who had much respect for all Ashe accomplished. And then, after all these years, to see a teenager in a Kansas Pizza Hut wearing the T-shirt with Ashe’s inspiring words was amazing and inspiring. ❤ I wish you could have seen it. “Humble and Kind” is perfect to go with Arthur Ashe’s life and how he handled the tainted blood he received during his surgery, Robyn. He was a remarkable man and an inspiration. Ah, this is lovely. I especially like your embroidered sampler. The only thing nagging in my mind is that probably Mark Zuckerberg started off with humble beginnings, never envisaging the behemoth that is the dreaded Facebook! The only thing better than pizza is pizza with such an interesting history! Love that Arthur Ashe quote – I think I feel a “Motivational Monday” post coming on! Thanks for the smile, Marylin. Good thing lunch is around the corner so I can satisfy the sudden yen for a little pepperoni cheese pie! I’m glad to see the Arthur Ashe quote lives on, Shel. It’s one of my favorites, especially under the sad circumstances of his early death. Hello I am Gannon. I know more football facts that even my dad and my grandpa so that’s why I use footballfactssite as my name. I am the one who started this post because I got to choose where we ate lunch. It was after the day that I read poems to my great grandma and patted her hand and she hummed along. Then on the long drive home after that, I chose Pizza Hut. Thank You for your nice comments . What a great story, Marylin. I think we take for granted the little things. But I can’t help thinking of the acorn and how huge of a tree grows from it. Now I want a pizza from Pizza Hut. Tammy, that is wonderful news. Mom will be so happy to hear your voice and see your smiling face. But take it easy, okay? If you tell her your story about falling off the horse, she’ll understand. 😉 This was definitely a hug and a smile. Thanks! Thank you for this touching comment, Sherri. Seeing Arthur Ashe play at Wimbledon must have amazing for you, and then later realizing he was also a truly wonderful man who handled adversity with true grace. I really enjoyed that one and would have enjoyed it more with grandchildren. I wonder what the conversation was like between you and Gannon. Does the story make his eyes bright? Or just the pizza? Marylin, what a lovely post and reminder that hard work teamed with inspiration pays off royally.